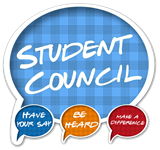 The Moore School Student Council is a student centered organization that through a elective process provides opportunities for student leaders to become involved in a wider array of school affairs. Members of the student council will partner with the Building Administration, teachers, parents, and fellow students to develop proposals and service activities that benefit the school. The student council runs the school election every year, usually during the third week of May. The Tiara or Queen’s crown is provided by the student council. Royalty is elected by grades 9-12 and the election is run by student council. The student council sponsors Santa. The student council purchases and puts together Santa’s Christmas bags. The student council is responsible for their own awards and certificates. The student council sponsors Earth day, which usually occurs in the third week of May. The student council advisor is in charge of the school picnic, which is normally scheduled one day before school gets out. Dues from each class are collected for student council.